Fiber Flux: Bath Knits Book Review and Giveaway! 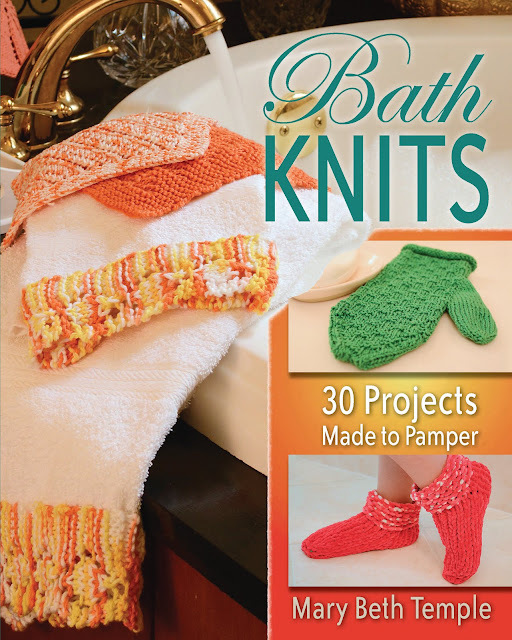 Bath Knits Book Review and Giveaway! I have a fabulous review & giveaway for you today lovelies! I recently was able to check out Bath Knits by Mary Beth Temple (ISBN: 978-0-8117-1657-4, Stackpole). The book is photographed in full color and many of the projects have a detailed chart to guide you along as well. There is a helpful abbreviation section in the back too! 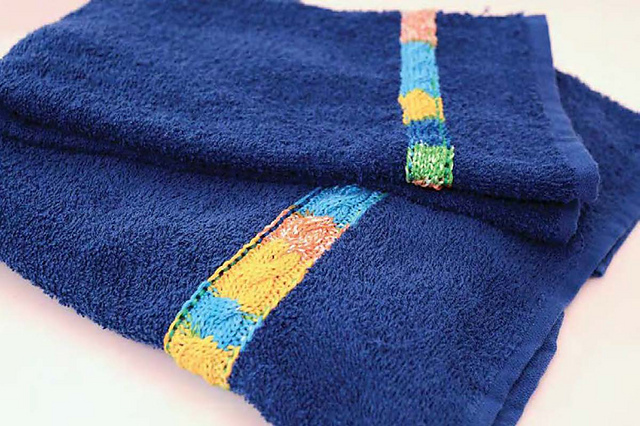 I really love this project too...if you need a quick gift and are pressed for time, these cable trimmed towels are just perfect. Many of the projects in the book are perfect for a hostess, shower gift, or a housewarming. I love the way the author uses variegated yarns in many of the projects. Now is your chance to win a copy of your own! Enter to win using the Rafflecopter below (sometimes it takes a moment to load). Giveaway ends February 27 and is open worldwide. Now go, go, go, and enter!!! Special thanks to Stackpole Books for sponsoring this giveaway. I received a review copy of this book, all opinions are my own. I would love to make that bath mat in white. Great give-a-way. I'm always interested in making items that pamper as gifts. Thanks for the chance! The storage basket, plush mat and slip stitch trio are first on my queue. Thanks for the giveaway. 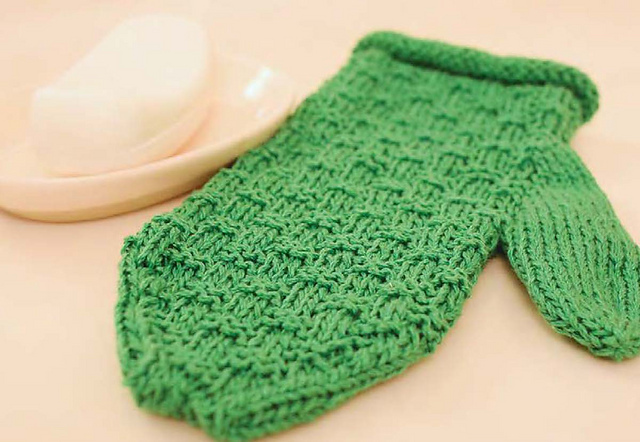 Hi, I never thought of making knit items for the bath. What a great idea! Thanks. I'd make some pretty washcloths for Christmas gifts! I would knit the socks. They are perfect. OMG, that bathmat is gorgeous. I might have a go at that. This is a great book. Love making dish cloths and bath cloths. Love the pedicure socks. Would love to try them. 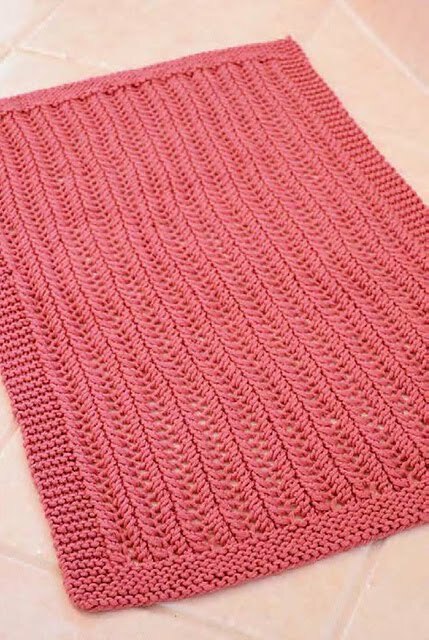 I'd like to knit a nice bathmat, and maybe a textured bath mitt, it's wonderful!! I follow your channel on YouTube. I tauught myself to crochet from YouTube tutorials including some of yours. I'm in the process of teaching myself to knit now (much harder). Im excited for the Knitcrate giveaway! So happy to have found v you on YouTube! I'm enjoying the blog as well! Lots of awesome tips and yarn reviews! Thanks a ton! I'd like to knit a nice bathmat. I just started back crocheting and would love this book! I would try making the Exfoliating Washcloth! What is the easiest way to read a pattern. I'm just learning and it gets confusing for me. I can follow along with your videios easy.